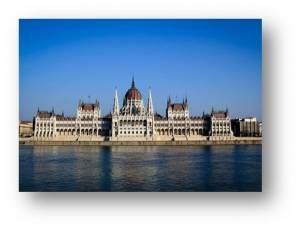 Dental tourism in Hungary: Discover Budapest ! Live the dental tourism experience in Hungary ! Do you need dental implants or prosthesis ? Whatever your problem is, combine useful and pleasure with an advantage of getting your dental treatment and discovering Budapest ! Enjoy the dental tourism to get your dental treatment in Hungary and discover Budapest, called « the pearl of Danube » for its architectural wealth and its amazing historical framework, just in a 2h30 flight from London. For your to receive your dental care in Hungary in comfort, your Smile Partner consultant will take care to organize the whole of your dental trip to Hungary : find airline tickets at the best price, book your accommodation at a preferential price and organize your airport-hotel transfers. At your arrival to Budapest airport, our driver will welcome you and drive you to the hotel. Gabi, your local English-speaking assistant, will remain at your disposal throughout your stay and will ensure the proper course of your dental treatment in Hungary. At our dental clinic in Hungary, our experienced and highly qualified English-speaking dentist will take care of you. What is the price of a dental trip to Budapest ? 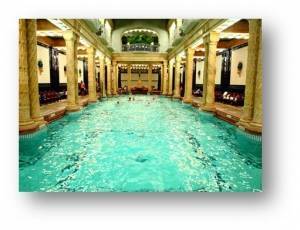 Your consultant, a dental tourism specialist, will accompany you at each stage of your dental trip to Budapest. Thanks to our preferential prices and privileged conditions, enjoy your stay in one of the most beautiful European cities for less than 300€* (flight + accommodation) and save up to 60% on your dental treatment in Hungary, subsistence expenses included. In order to limit any additional expenses during your dental treatment in Hungary, Smile Partner offers you a large choice of apartments and hotels (3, 4 and 5 stars). All the accommodation solutions are located in the vicinity of the clinic and are proposed at preferential prices, only for our patients. There are plenty of low-cost airlines servicing International airport of Budapest, situated in 25 minutes from Kiralydent dental clinic. Your consultant will recommend you several roundtrip flights under 150€ , departure from the airport of your choice. For example, if you need 3 dental implants, you have to schedule two 5-day dental trips to Hungary. Your dental care will then cost you 3540€, subsistence expenses included. « BUDA », on one side, situated on the hill, a symbol of historical strength of the city. There you can discover its famous royal castle which offers a stunning view on the river. « PEST », on the other side, a modern city, with its opera, its museum, its square of national heroes and its thermal springs baths, other particularity of the city. Gabi will be glad to assist you and advise you to help you choose your touristic activities.